How many dogs are killed? Where do they come from? Is it true dogs are tortured first? Our Cat and Dog Welfare team in China provides the answers. 1. How many dogs will die? At its height the Yulin dog meat festival was said to be responsible for 10,000 to 15,000 slaughtered dogs. In 2014 that figure was reported as dropping to 2,000 to 3,000. Reliable sources last year put it at under 1,000. 2. How many dogs are eaten each year in China? The widely reported - though difficult to verify - figure is 10 million. 3. The festival is just about eating dogs? The festival takes place to mark the summer solstice. This year that is June 21. 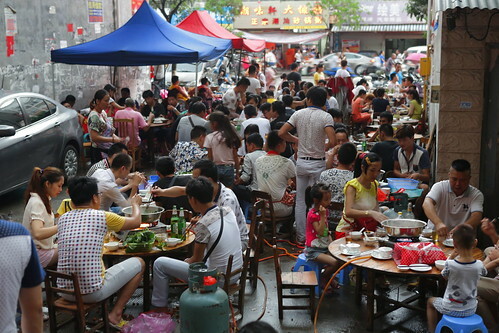 The festival’s full name is the Yulin lychee and dog meat festival. There’s also a lot of beer consumed. Sadly it has also been reported that cats are eaten too though not in such vast numbers. 4. Can’t the government just stop it? We believe we are reaching a point where there is little value for the government in defending an industry that is being revealed as being more about crime than tradition. We’ll ensure pressure continues to grow in the hope that the dog and cat meat eating industry is made illegal. 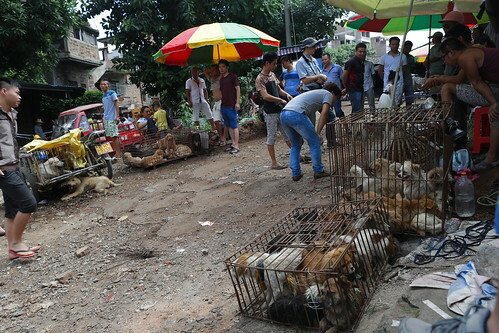 As far as the Yulin dog meat festival is concerned, it is no longer sanctioned on any level by government so - what you’re seeing is a kind of unofficial agreement by dog meat lovers to meet up once a year. 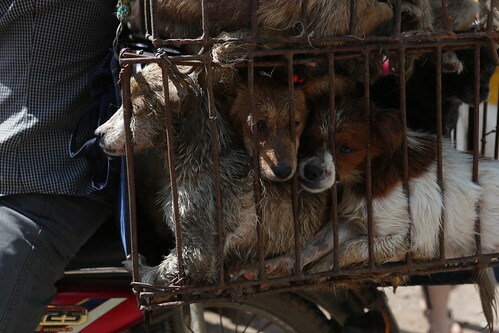 It’s why we say - yes we must end the Yulin dog meat festival - but to do that we must also end dog meat eating in China - and that’s a year-round campaign. 5. But I heard the festival was cancelled? This rumour goes around every year - usually due to confusion on social media regarding other festivals. We hope it does end but a gradually shrinking festival due to public pressure is more likely. 6. Where are the dogs sourced? Our research shows that the idea that these dogs are "farmed” is untrue. The vast majority are stolen. Grabbed or poisoned or both and shoved into tiny cages with other dogs - they start a long journey to a dog meat trader. During this time they have no food or water and diseases spread quickly. These include canine distemper, parvovirus and, almost certainly, rabies. 7. Where do they go to? Dog slaughterhouses are filthy, unregulated and cruel. No quarantine of the animals exists either at slaughter or during transport. 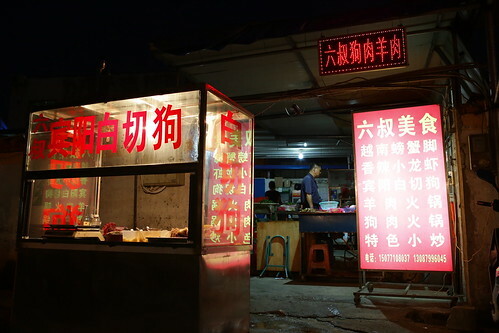 These slaughterhouses are generally located far away from downtown areas and communities, but in places where eating dog and cat meat is more common, animals can be killed on the street. 8. How do they die? This is a difficult question because there are no regulations on dog slaughtering. Typically they suffer a death that is far from efficient. They are snared around the neck with metal hooks and dragged from their cages. Then they are either bludgeoned or stabbed in the neck or groin to be “bled out”. Other methods of killing including being hanged or electrocuted. This happens dog by dog so other dogs are likely to witness multiple deaths ahead of their own. This further spreads panic. 9. Is it true that dogs are “boiled alive”? While we don’t believe this is a routine intention, inefficient slaughter techniques and the sheer scale of the killing involved means it’s extremely probable that cooking of dogs can start before their death. 10. Is it true that dogs are beaten to improve the flavour of the meat? This is an often-repeated accusation, and while there was some evidence of this many years ago, we are yet to find evidence of it occurring today. Our research suggests lingering deaths tend to be as a result of an inefficient slaughter rather than a deliberate attempt to inflict pain. 11. Is it true that torturing of the dogs is part of the festival? It’s no exaggeration to say that what the dogs suffer is indeed “torture”. However, we believe it’s more likely that this torture is due to cruel catching, transportation and slaughter - rather than deliberate desire to prolong the pain of the dog for gratification, entertainment or to improve the dish in any way. 12. How common are dog and cat eating in China? Although we know that the practice of eating cat and dog meat has existed for many years in China, especially in Guangdong, Guangxi, Guizhou province and north eastern China, the frequency of consumption and the amount consumed is decreasing year by year. According to our “Survey of public attitudes to dog and cat eating in China” (released 2015), eating cat and dog meat is not universal nationwide. In cities outside those listed above, 20% of respondents had eaten dog meat in the past two years, while in the same period, 1.7% had eaten cat meat. 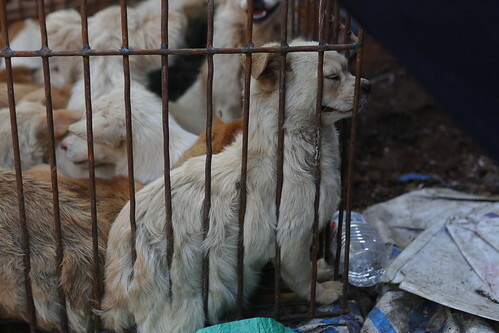 Within the cities where dog meat eating is more favoured (including Guangdong, Guangxi, Guizhou province and north eastern China) almost half of respondents had not eaten cats or dogs in the past two years. Among those who had, half had eaten it only once or twice a year. Thanks to all the effort (from NGOs to individuals, both domestic and overseas) put into improving animal welfare in China and their work with local authorities, the number of consumers of cat and dog meat keeps reducing every year. 13. Do people eat dog or cat due to lack of food or money? No, despite many of the animals being stolen, the meat is still not cheap. It is eaten for reasons of superstition or tonic or, arguably, tradition. If it was made illegal tomorrow nobody would starve. 14. If Chinese people don’t want the dog meat trade - then why don’t they end it? Influencing legislation is not easy, however, there have been significant responses that will not have gone unnoticed. This includes close to 9m people voting online for proposed legislation to end cat and dog meat eating. Meanwhile - though dog theft stories are a constant in Chinese media - they still have the power to shock and there’s a growing feeling that the time is now here for change. The eating of cat and dog meat being made illegal would be widely welcomed and would cut crime and cruelty. Grassroots NGOs and brave animal lovers are also responsible for numerous dog and cat rescues every year. This represents a huge undertaking because rescues start with stopping the truck but the care of the dogs or cats can go on for years afterwards. 15. What would happen to the dogs in Yulin if the festival was ended? The most likely scenario is that increased year-on-year pressure will see the Yulin dog meat festival continue to reduce in size. Public pressure is already doing that and is very literally saving lives in the process. It is vital that this pressure is kept up. If there is no appetite for consumption then the supply will also dwindle – as will the cruelty. In the event that a festival was suddenly stopped we’re confident that local groups – with our support – could rescue dogs. There are many local rescue groups that have pushed for the end of the Yulin dog meat festival – with so many groups working so hard, we believe there would be no shortage in support for caring for the dogs and ultimately finding them new homes.